Hunt, harvest resources, craft items, grow crops, research technologies, and build shelters to withstand the elements. Use your cunning and resources to kill or tame & breed the leviathan dinosaurs. 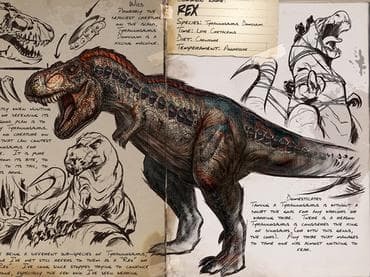 Если у Вас есть вопросы, связанные с игрой ARK Survival Evolved пожалуйста используйте эту форму для связи с нами.